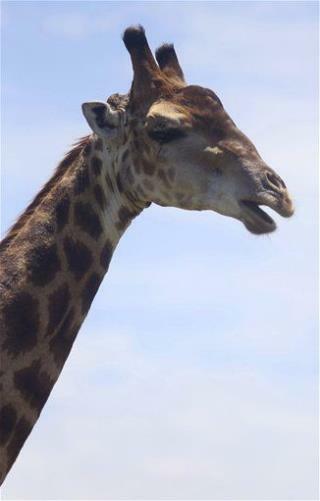 (Newser) – The Copenhagen Zoo is facing more than a little wrath today after it put down a healthy young male giraffe with a bolt pistol and fed its meat to zoo carnivores—all over concerns about inbreeding, reports the AP. Two-year-old Marius was considered "surplus," reports the BBC, because he was genetically similar—yet inferior—to many giraffes already within the breeding program of the European Association of Zoos and Aquaria. The over-the-top part? Zoo workers then dissected Marius in front of a crowd that included many children, then fed him to lions. (There are photos in the gallery, but be warned that they are graphic.) A zoo rep stands by the animal's destruction, noting that it's responsible practice. "Giraffes today breed very well, and when they do you have to choose and make sure the ones you keep are the ones with the best genes," he says, adding that the zoo puts down some 20 to 30 animals per year. This is the most disgusting thing I have ever heard of. If you have to 'thin the herd' then please don't do it in front of guests, especially children. Unbelievable. 1. Never heard of a "bolt pistol" but this engineer assumes it is just like the pneumatic or hydraulic ones used to puncture the heads of beef at processing plants. People, how do you think they kill that beef you eat at the restaurant? For the squeamish, don't read on. Probably like a power anchoring gun that uses a small 22 cartridge to drive a steel rod into the skull for an instantaneous kill. Just realized that it would work perfectly for the death penalty. Very inexpensive, 100% reliable, 100% fatal, little mess and quite humane. 2. For the city folk, they are mere bounty for the predators in God's scheme of things. I don't hunt and kill any wild animal unless I am going to eat it to save on food costs. This writer would like to try some giraffe backstrap steaks on a grill. 3. Can we talk? I think during the previous depression, the deer herd was cut in half. The current depression that nobody is talking about has seen an increase in poaching from California to Florida. Many readers have never gone hungry and don't understand. This writer has no problem with individuals poaching wild game to feed their family. However, the poachers that kill scores of game, including protected species for profit are a real problem. When caught, they should be locked up for a long time.